After a long and exciting day, you deserve to relax, eat well and sleep better. The Lodge consists of 7 double and 2 quadruple rooms, a total of 22 beds, all with their own bathroom. 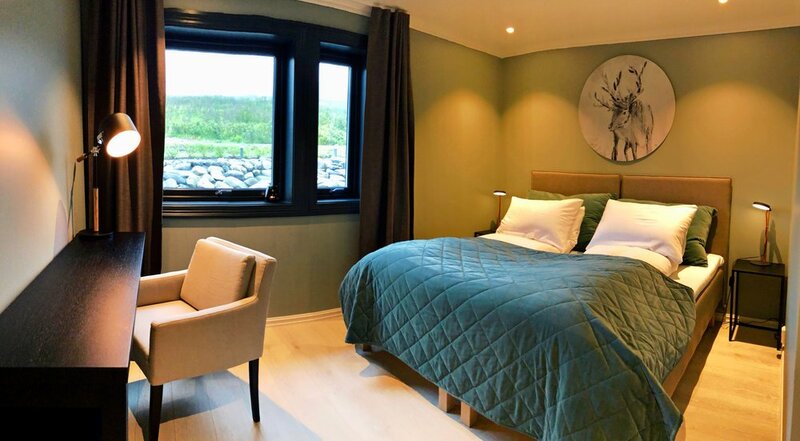 In our Lounge you will have a wonderful view of the Ulsfjord with both boating and wildlife right outside the window. A warm sauna and an outdoor hot tub can be enjoyed in our Spa section. And if you are really tough, you can swim in the ocean right down the shore. 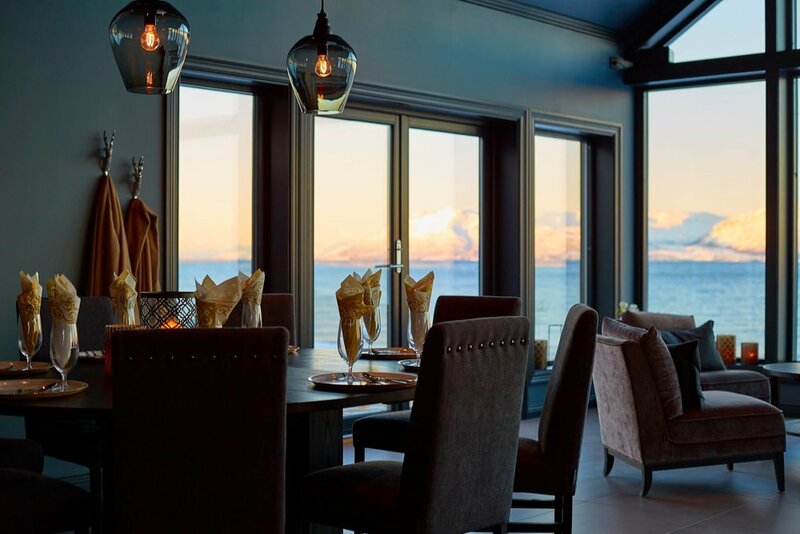 In the heart of the Lyngen Alps, surrounded by magic views. Less than 2 hours drive from Tromsø, including a great ferry ride. Boat and helicopter rides at your disposal for a unique experience.